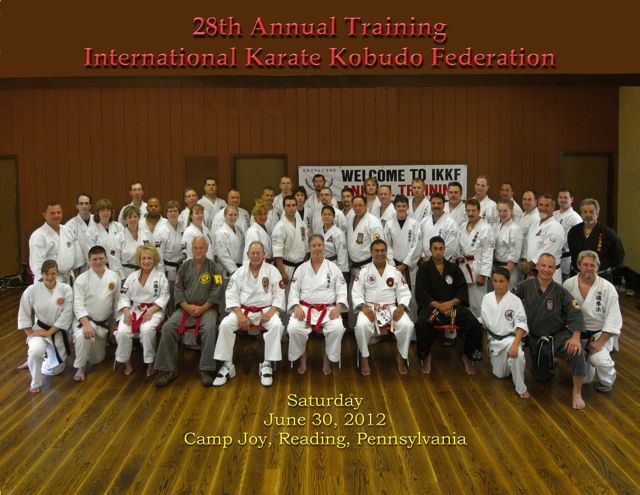 The INTERNATIONAL KARATE KOBUDO FEDERATION held its 28th Annual IKKF ANNUAL TRAINING, JUNE 29 - JULY 1, 2012. 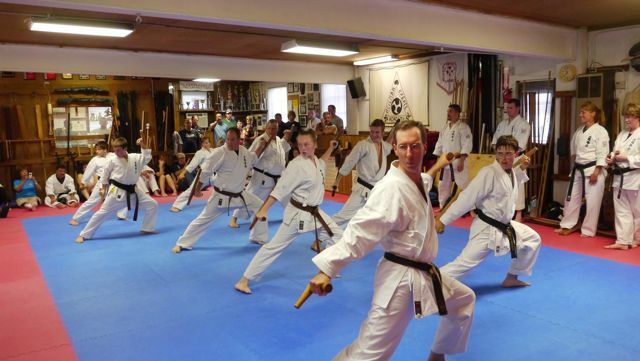 The highlight of the event was the announcement of the promotion of Mr. Heilman to the ranks of 10th DAN in OKINAWA KENPO KARATE and 10th DAN in OKINAWA KENPO KOBUDO. 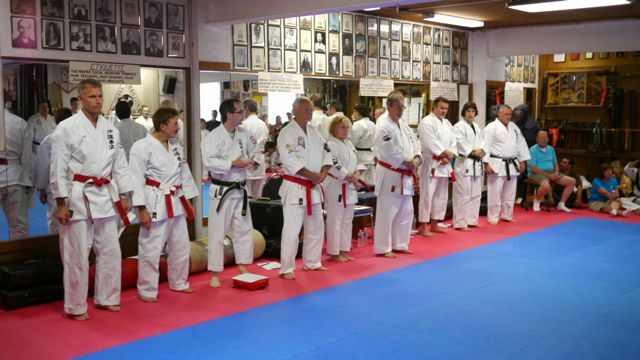 The promotion was made by the Okinawa Kenpo Karate Kobudo Union Directors (all direct students of the late Master Seikichi Odo, Okinawa, Japan, who voted OKKKU President C. Bruce Heilman to be advanced in rank to 10th Dan. 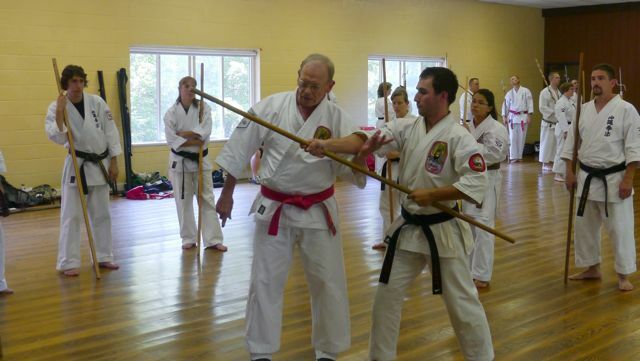 Mr. Heilman was the first American promoted to the title of Hanshi and ranks of 9th Dan in Karate & Kobudo by Master Odo back in 1997. He served as Master Odo's US Representative for the Okinawa Kenpo Karate Kobudo Federation (OKKKF) from 1984 to he was moved up to International Representative in 1991. In 1986 Mr. Heilman, representing Master Odo and his OKKKF, was party to a Federal Court Case over the US Trademark for the name "Okinawa Kenpo" with Mr. Teruyuki Higa. 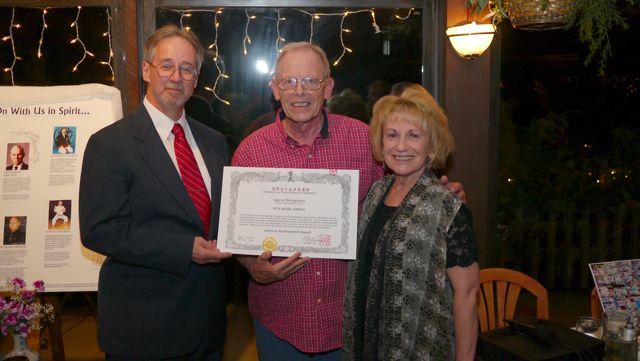 The result of the case was that Mr. Heilman won the case and as of August 25, 1986 he is the owner of the Service Marks "Okinawa Kenpo Karate", "Okinawa Kenpo Kobudo" and "Okinawa Kenpo Karate Kobudo". 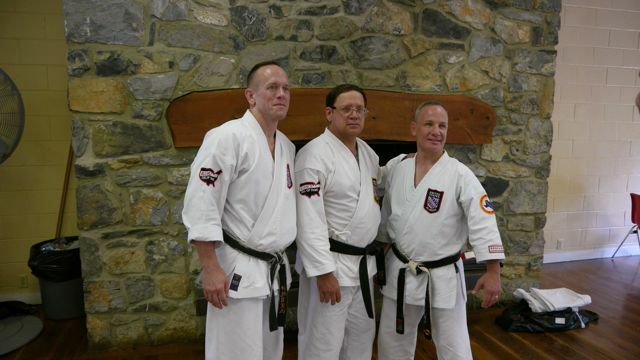 Hanshi Heilman also serves as Okinawa Kenpo Style Head for Okinawa Kenpo and the Director of the Kobudo Program for the United States Karate Alliance. 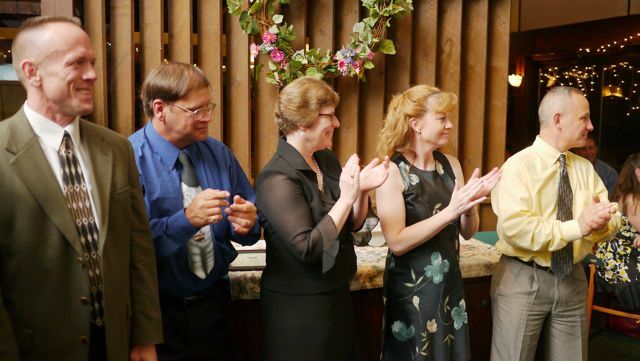 Mr. Heilman and his wife, Kyoshi Heilman have also produced 23 Video Training Tapes covering both the open hand and weapons forms of the Okinawa Kenpo system. 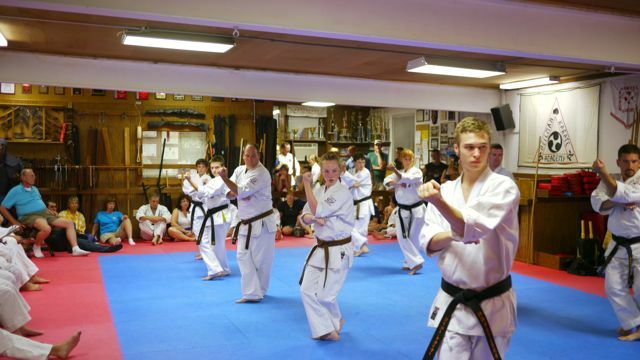 Mr. Heilman started his martial arts training in 1961 in Pittsburgh, Pennsylvania, and his dojo, the Heilman karate Academy, Inc. celebrated its 40th Anniversary this year. 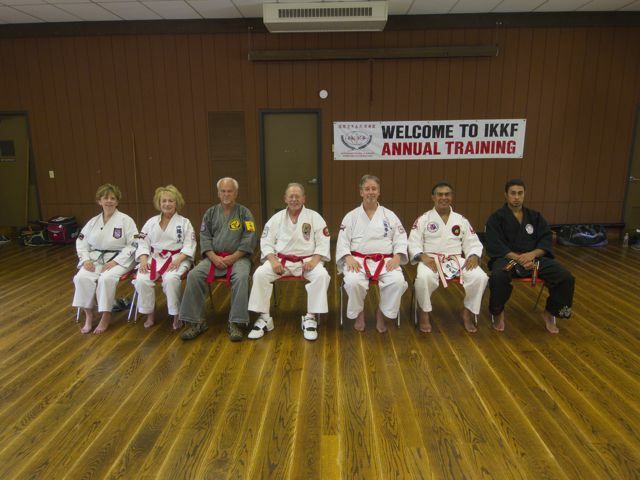 The 2012 IKKF ANNUAL TRAINING was held in READING, PA. 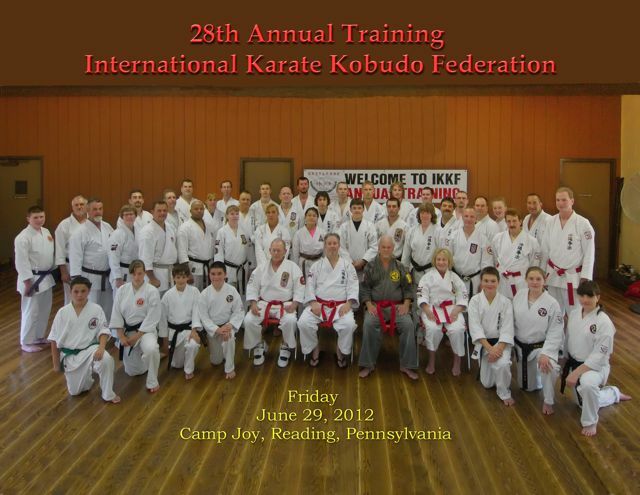 This year we moved the site of the training to CAMP JOY, a Berks County Recreation facility located north of the Dojo. 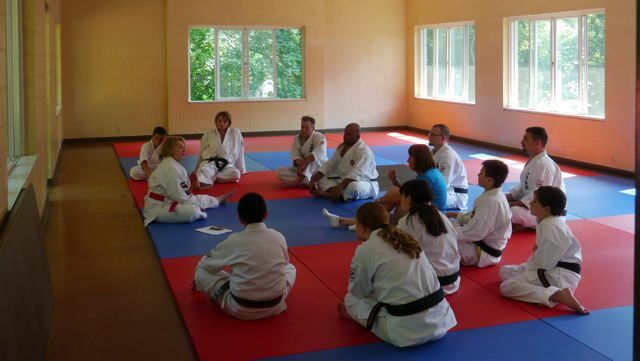 The use of the Camp Joy Facility provided additional training space permitting us to hold 3 concurrent seminars throughout most of the three days of training. 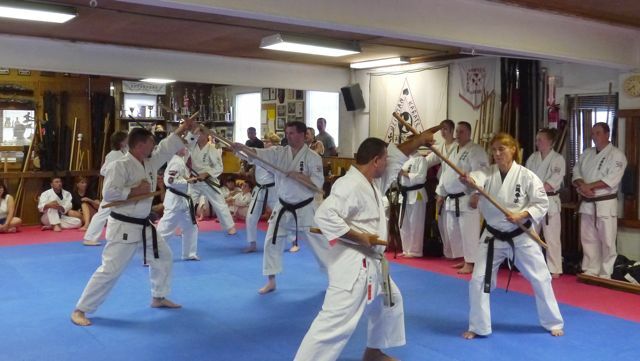 The focus of the 2012 IKKF ANNUAL TRAINING was to provide intense training in Okinawa Kenpo Karate, Okinawa Kenpo Kobudo, and Aiki-Jiujitsu. Some selected photos of the event are presented below. A group photo of the participants on Friday at the 2012 IKKF Annual Training. A group photo of the participants on Saturday at the 2012 IKKF Annual Training. 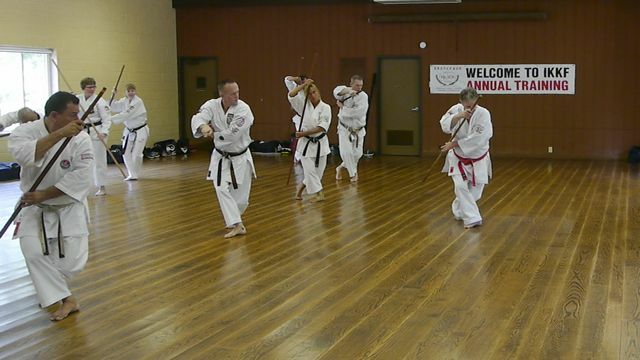 Instructors included: Kyoshi Caliguri, Kyoshi Heilman, Hanshi Paul, Hanshi Adler, Hanshi Heilman, Hanshi Ibarra and Shihan Ibarra. Photo of Open House Thursday evening at the IKKF Honbu. 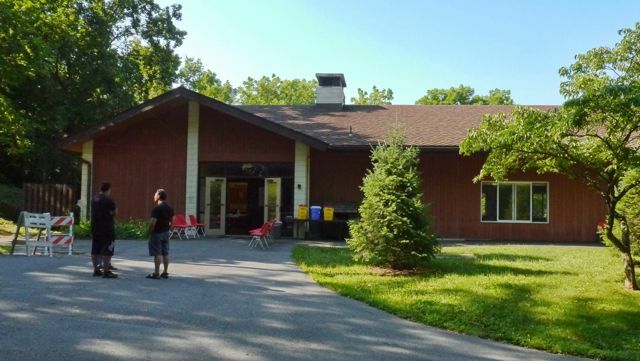 Exterior photo of Camp Joy, the location for the 2012 IKKF Annual Training. 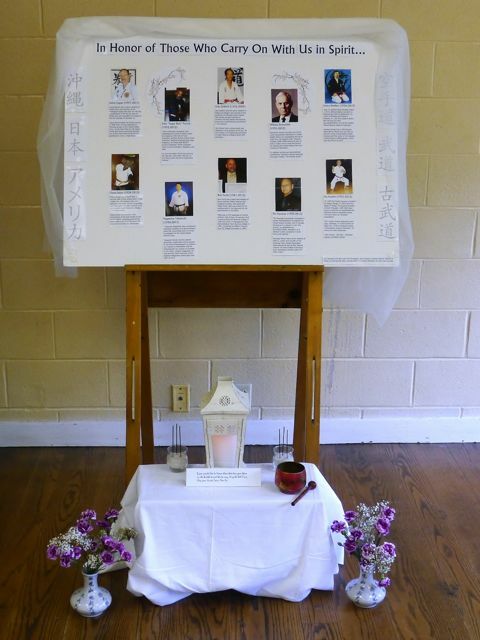 Memorial display at Camp Joy in honor of those martial artists who passed away recently. 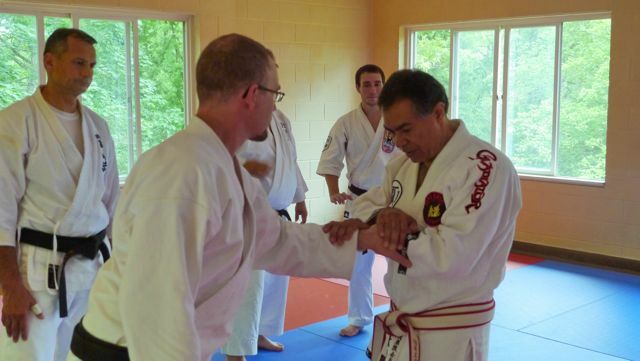 Hanshi Ibarra conducting class on wrist techniques. 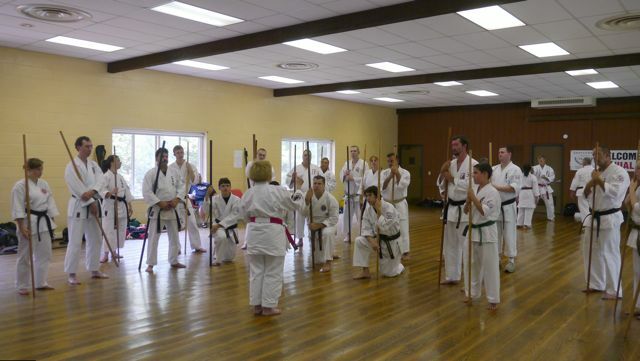 Bo class conducted by Hanshi Heilman. Kyoshi Heilman preping participants for class on Bo - Bo two person kata. 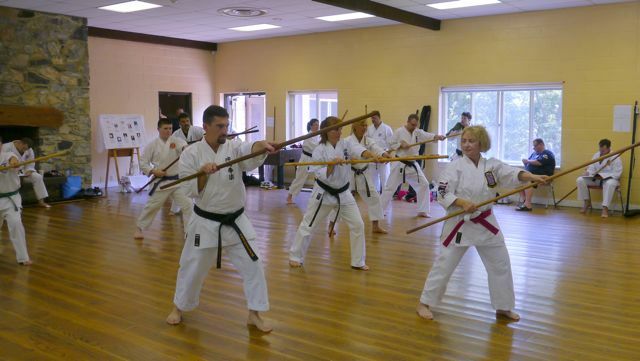 Bo disarm class conducted by Hanshi Adler. Meditation class taught by Kyoshi Heilman. Hanshi Paul working his Toide techniques on a student. Kyoshi Heilman leading a session on bo. Jiu-Jitsu class taught by Sensei Holmes. 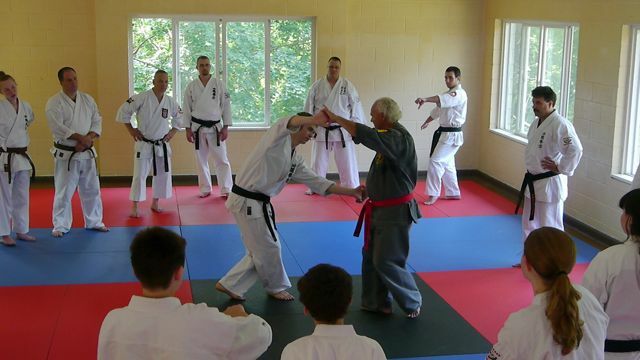 Hanshi Heilman showing bunkai for moves in Tekkos kata. 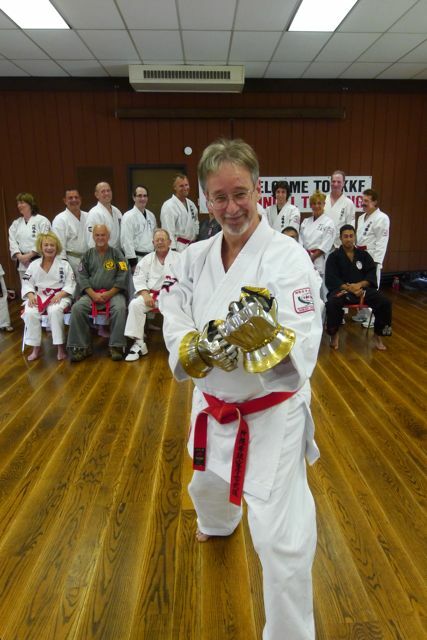 New "sparring gloves" are tried out by Hanshi Heilman. Gathering of "three amigos" (aka "trouble") taking an opportunity to gather for a photo. Yudansha testing candidates line up prior to start of formal testing Friday evening at the IKKF Honbu. Testing ranged from Junion Black Belt up to Rokudan (6th Dan). A group photo of the IKKF Renshi Kai Testing Board. 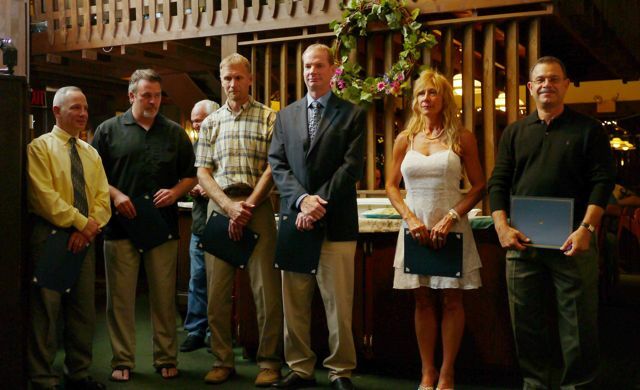 Members included: Kyoshi's Hoover, Zondlo; Renshi T. Apsokardu; Hanshi Paul; Kyoshi Heilman; Hanshi Heilman, Kyoshi Baer; and Renshi's M. Apsokardu and Moyer. Testing candidates going through Nai Hanshi kata. Testing participants demonstrating movement from Tunfa kata. Black belts working through bo - tunfa two person form during testing. 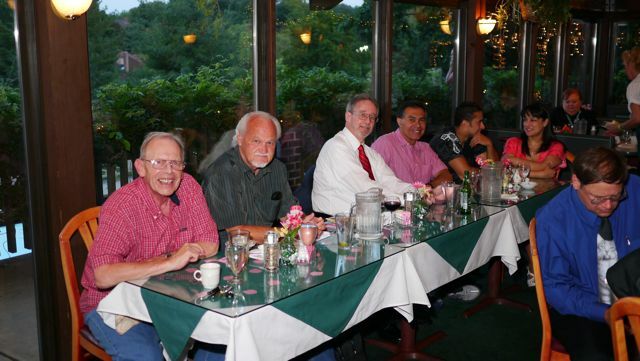 Group photo of the head table with Hanshi's Adler, Paul, Heilman, Ibarra and Shihan Ibarra. USKA Hall of Fame members in attendance at the Annual Banques. 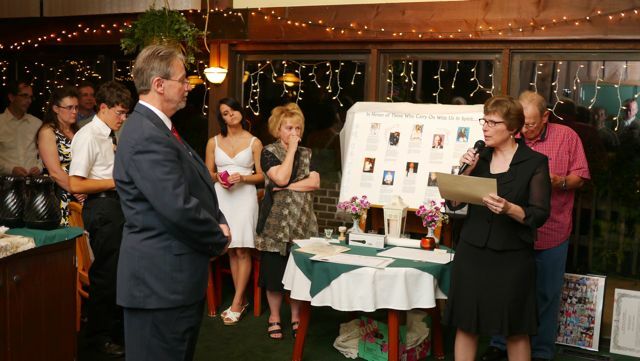 HOP Members included: Greg Holmes, Rodney McPherson, Sue Hawkes, Cassandra Shults, Joe Dupaquier and not in photo Mr. & Mrs. Heilman. 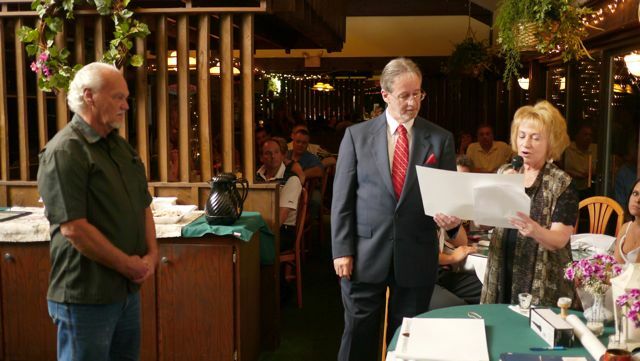 Hanshi Nick Adler receiving Lifetime Achievement Award for his accomplishments in the martial arts. 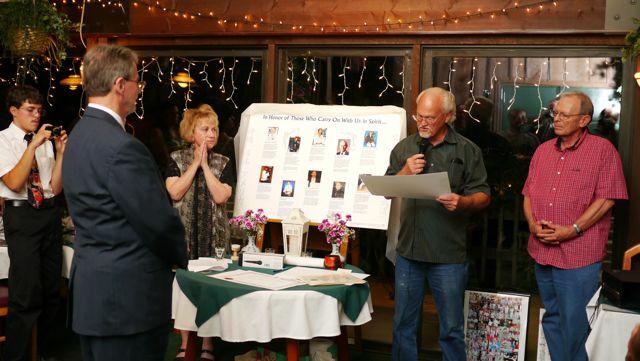 Hanshi Jody Paul receiving a Lifetime Achievement Award. Mrs. Sue Hawkes receiving appointment to IKKF Executibe Board. 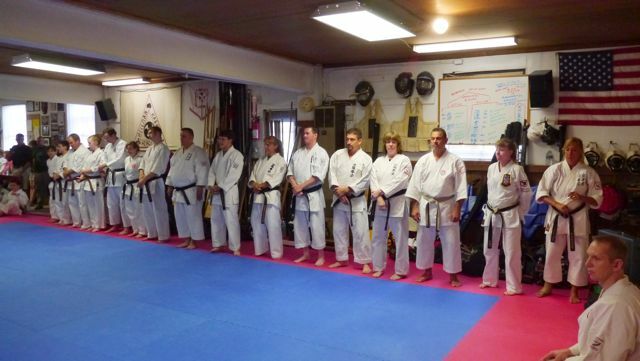 Mrs. Hawkes assumes the position held by the last Hanshi Jim Hawkes, representing the United States Karate Alliance. Photo of newly appointed IKKF Executive Council Members who were chosen to serve in an administrative support role to Hanshi and Kyoshi Heilman. Executive Council Members include: Kyoshi's Dupaquier, Baer, Hoover, Rupert, Molinaro and Cruz. Greg Holmes receives IKKF Competitor Of The Year Award from Hanshi Heilman. 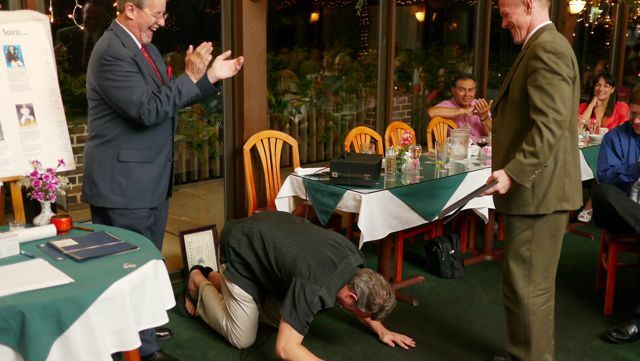 Kyoshi Baer was so overcome with admiration that he had to bow down to Mr. Holme's accomplishments. 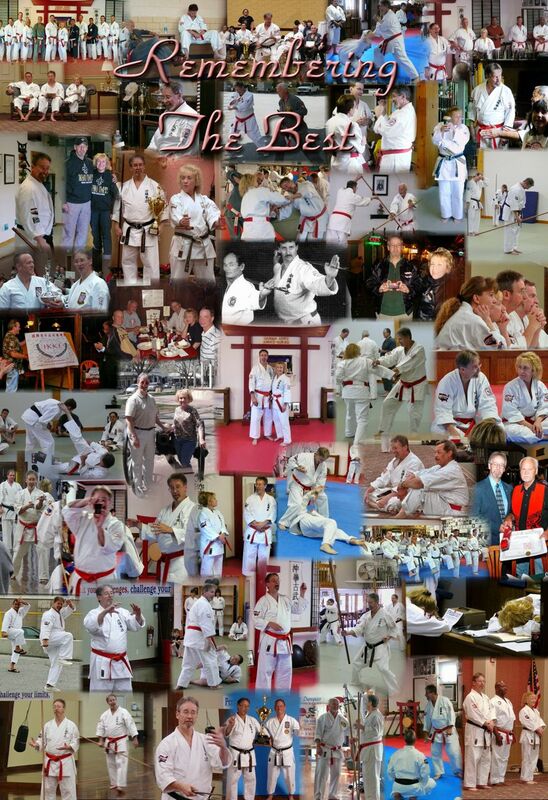 A collection of photos presented to Hanshi Heilman commemorating a lot of good times and hard training from the past. 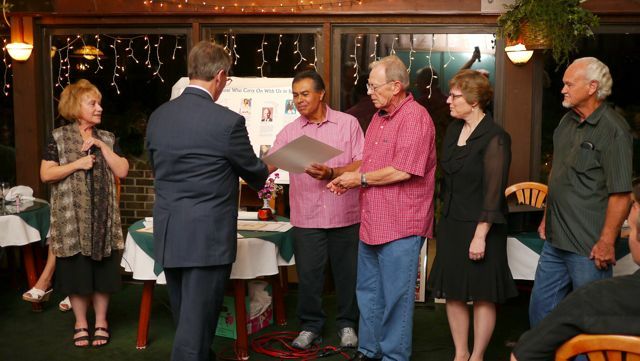 Hanshi Paul representing the OKKKU Directors in announcing Mr. Heilman's promotion to 10th Dan in Karate and Kobudo. IKKF Executive Board Members, Kyoshi Heilman, Hanshi's Ibarra, Paul and Adler and Renshi Hawkes presenting 10th Dan Certification from IKKF to Mr. Heilman. 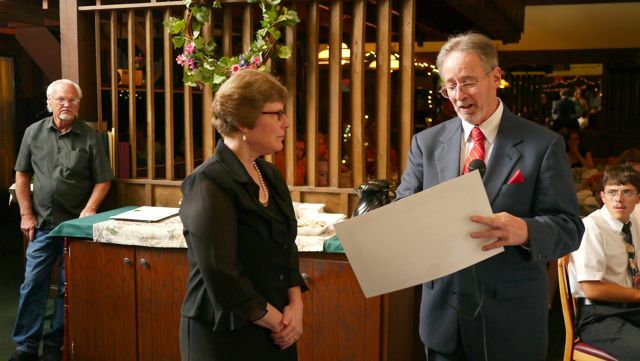 USKA Co-Director Mrs. Hawkes presenting 10th Dan Promotion to Mr. Heilman.